West Side Story was brought to life in outstanding fashion last night at the Empire Theatre. The all-singing, all-dancing re-working of Romeo & Juliet is set against a 1960s New York underbelly where rival gangs, the Jets and the Sharks run the streets and star crossed lovers Tony and Maria find love in the midst of a whole lot of hate. Leonard Bernstein and Stephen Sondheim’s glorious music, under conductor, Ben Van Tienan, had the hairs on my back standing on end. The magnificent, soaring delivery of America, the Tonight quintet and the raucous music at the dance at the gym gave me shivers of delight. Jerome Robbins’s original choreography was delivered with more energy than you could rattle a maraca at by a group of dancers headed by the superb Djanelnga Scott (Anita), Javier Cid, (Bernardo) and Jack Wilcox (Biff). The beautiful, balletic dream sequence accompanying Somewhere makes you wish these rival gangs could get along because you like them all so damn much! But then we wouldn’t have the tragic story we all know and love, would we? At the hear of the story Katie Hill (who we last saw playing Christine in Phantom of the Opera at the Empire) and Dom Hudson (on understudy duty for Louis Maskell) gave us a very sweet Maria and Tony, whose love burns brightly, but is over too quick in the face of the hatred all around them. If Hudson struggled a tiny bit with the very highest of notes, we can easily forgive him on account of how bloody lovable he is! Hill’s voice, as anyone who’s seen her knows, is pure and wonderful and you genuinely root for these two in the face of their ultimate doom. This West Side Story is an absolute joy. Even with all the “Daddy-o”s and the 60s street lingo, the music and choreography still feel fresh as newly-popped daisies. It’s sure to be a sell out, so grab your tickets while you can and enjoy it in all it’s glory. 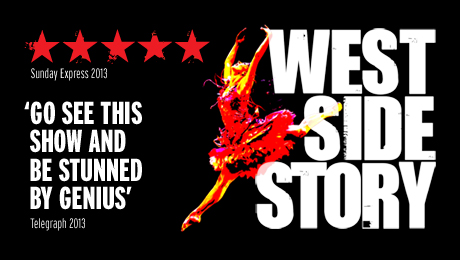 West Side Story runs at the Liverpool Empire from now until Saturday 28 September at the Liverpool Empire.